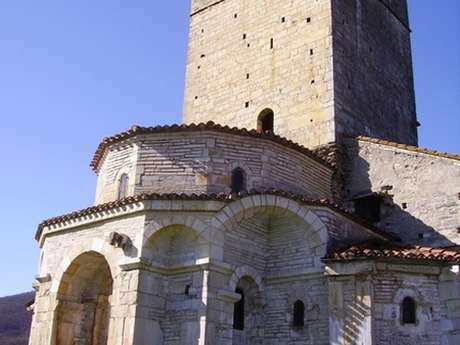 Borne on the spatio-temporal loops of a journey into the past, travellers can hardly remain indifferent when they visit Saint-Bertrand-de-Comminges ! The Roman city, known as Lugdunum Convenarum during Antiquity, was the chief town of the territory of the Convenae people, an area which corresponds to the modern Comminges. Here there are the vestiges of a temple, a forum, a theatre, baths, a market place and an arcaded square, bearing witness to the bustle of an important, populous town with 5 to 10 000 inhabitants in the first half of the 1st C. AD. 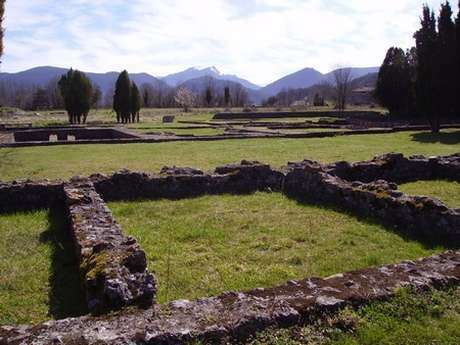 On the site of the antique city, the “low town“ grew up and with it the soberly elegant Basilica of Saint-Just-de-Valcabrère (12th C.), which constitutes one of the most beautiful examples of Romanesque art in the Pyrenees. The many stones recovered from the antique city and used in its building add to the unique charm of the place. Just like the faithful of the Middle Ages, visitors of today can’t possibly miss it! The cathedral of Sainte-Marie of Saint-Bertrand-de-Comminges sits, massive and imposing, on the promontory where the mediaeval town was built. The Romano-Gothic architecture of the building, the Renaissance stained-glass windows, the choir with its finely-carved stalls and 16th C. organ, the Romanesque cloister, all contribute to this sense of immersion in the past. The well-preserved 15th and 16th C. half-timbered houses also bear witness to the greatness of the episcopal seat. As you stroll around, you should also look out for : the Majou Gate (12th-14th C.), La Loy house (17th C.), the Bridault house (16th C.). 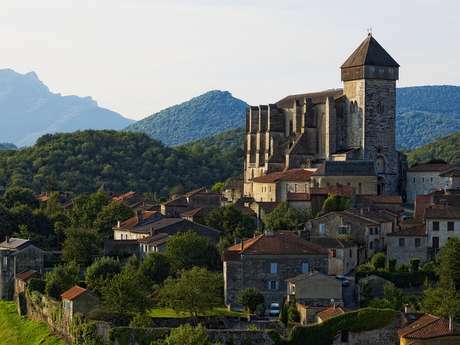 Created in 1975, the Festival du Comminges is the major international classical music festival in Midi-Pyrénées. It puts on about twenty concerts in some of the most prestigious places in the Central Pyrenees. Every year, works are commissioned from great composers as well as from young, talented ones. In July and August. La sabotière de Saint-Bertrand, Isabelle Segonzac, learned her trade by marrying the son of the local clog maker ! Her father-in-law passed on the all the skills and know-how accumulated by the Estrade family since 1880. The hand-made to measure clogs have found a new lease of life thanks to her feminine touch which plays with colour, materials and forms (she also makes boots, wooden soled shoes...). 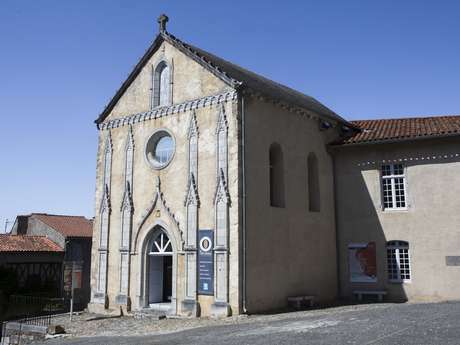 The former monastery of Saint-Bertrand-de-Comminges have become a local tourist and cultural centre. 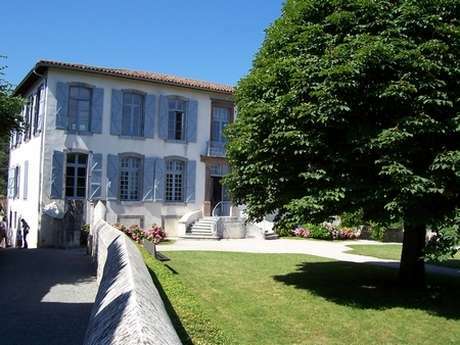 Les Olivétains provides tourist information, a guided tour service, a specialised cultural bookshop, and hosts exhibitions during the summer season. On 30th November 1793, revolutionaries came to take possession of the cathedral’s silverware. The relics of Saint Bertrand were hidden straight away and not brought back until after the Revolution. The cathedral was amongst the very first monuments to be placed on the list of Historic Monuments compiled in 1840. The cloister was added to the list later on, in 1889. Along with the cathedral, the basilica of Saint-Just-de-Valcabrère is a UNESCO World Heritage Listed in the context of the Santiago de Compostela Pilgrim Ways and the procedure to have the village placed on the list of the “Grands sites de France” is in progress. The pastoral team of Saint-Bertrand-de-Comminges/Valcabrère, made up of a priest and several lay people, keeps alive the tradition of pilgrimage and provides a welcome combining culture and spirituality. Every Sunday and on feast days at 11.00, a solemn mass is celebrated which benefits from accompaniment of the great organ. A pastoral reception service is also offered in the afternoon during the summer months, close to the tomb of Saint Bertrand. This agreeable town, rescued from the ruins by its bishop, became a great centre of pilgrimage glorified by numerous miracles. French and Spanish mountain-dwellers used to pour into the town and its lower suburb, to the point where, as far out as the fields and orchards, these rustic admirers were swarming everywhere. These memories live on : the beautiful cathedral, the glories of the Monk of Capadour and the honour paid to his relics remind the people of the splendours of the Middle Ages. Antiquaries are the only ones who go further back and remember the Romans.